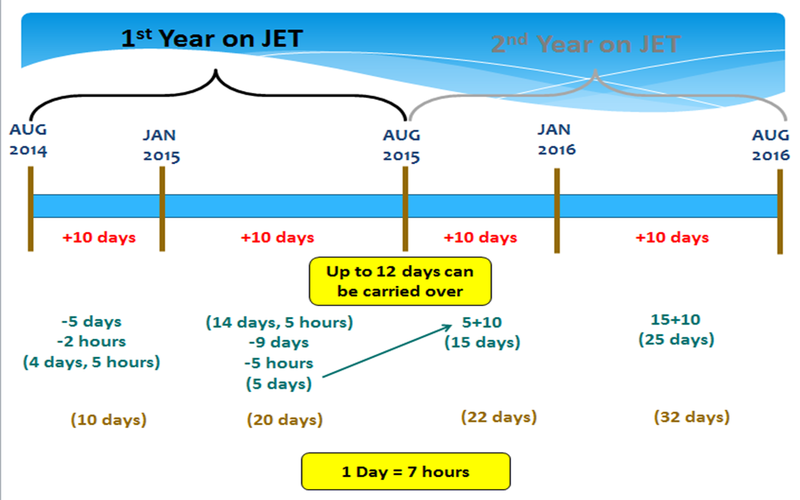 The policy regarding nenkyu (paid leave) and byokyu (sick leave) is one topic that never ceases to confuse JETs. Misunderstandings of what each one entails and the process for taking leave has continued to create problems at schools. The following are excerpts from the Terms and Conditions for JET Participants in Okinawa. Teachers tend to take nenkyu instead for small colds and flu. It is not in accordance with Japanese custom to take a lot of byokyu days because it looks back on employee records. Please respect these differences in customs and culture. Teachers are not used to taking byokyu and may not be clear of the procedure. Byokyu stays on employment records. It does not look good for reappointment if you take a lot of sick days. Must get supervisor approval. Byokyu, like all types of leave, is not automatic. You will need a doctor’s note to prove the sick leave. If you call in sick, take the day off, and come to school the next day without a note, they will ask you to log it down as nenkyu. (1) Dental Visits are considered unavoidable sickness, however due to their availability during non-work hours they are considered nenkyu.